Members of the North Shore International Network toured Historic Oak Park in October. 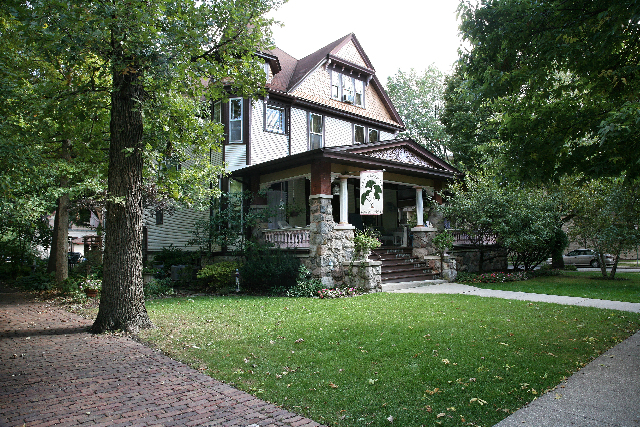 They began at Pleasant Home designed by architect George Maier and enjoyed a lecture on Oak Park history by Frank Lipo, head of the Oak Park River Forest Historical Society. Afterwards, the group walked down Marion Street past The Carlton, and along the former Marion Street Mall to view Westgate, modeled after Market Square in Lake Forest, and now in a state of increasing demolition. The group viewed the former Marshall Field Building - by Graham Anderson, Probst &amp; White who did the Wrigley Building in downtown Chicago, the Art Deco Lake Theater developed by Avery Brundage of IOC fame, and designed by architect Thomas Lamb, who designed theaters all over the US, and also designed Madison Square Garden. 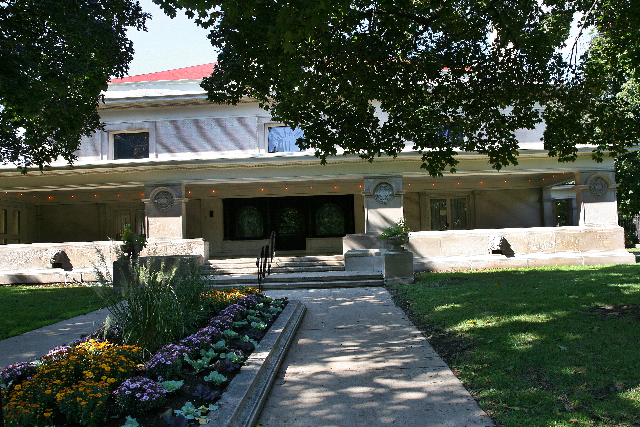 The walking tour included stops in front of Frank Lloyd Wright's Thomas House, Beechy House and Mrs. Thomas Gale House. 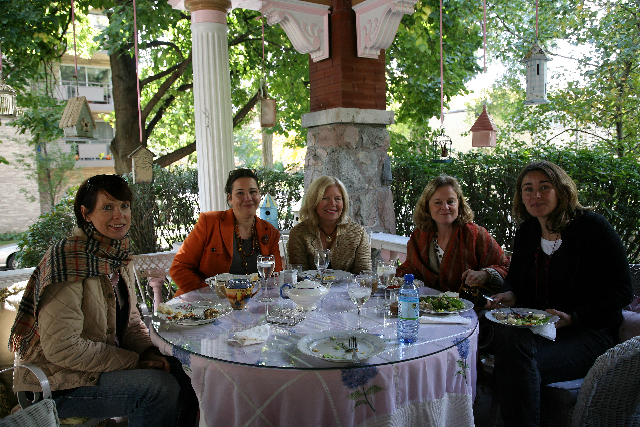 A delicious lunch was served by proprietor Gloria Onischuk at Under the Ginkgo Tree on Kenilworth. Local residents/actors Kevin Bry and Diane Pingle did a theatrical presentation on the history of Oak Park, portraying some of Oak Park's most famous residents, including Frank Lloyd Wright and Ernest Hemingway.